AOGUERBE: Virtual Reality has developed in the recent year and there are many companies who are trying to develop the best VR headset to take over the VR market. There are lots of virtual reality headsets available in the market. The prices vary with different features packed in the devices. 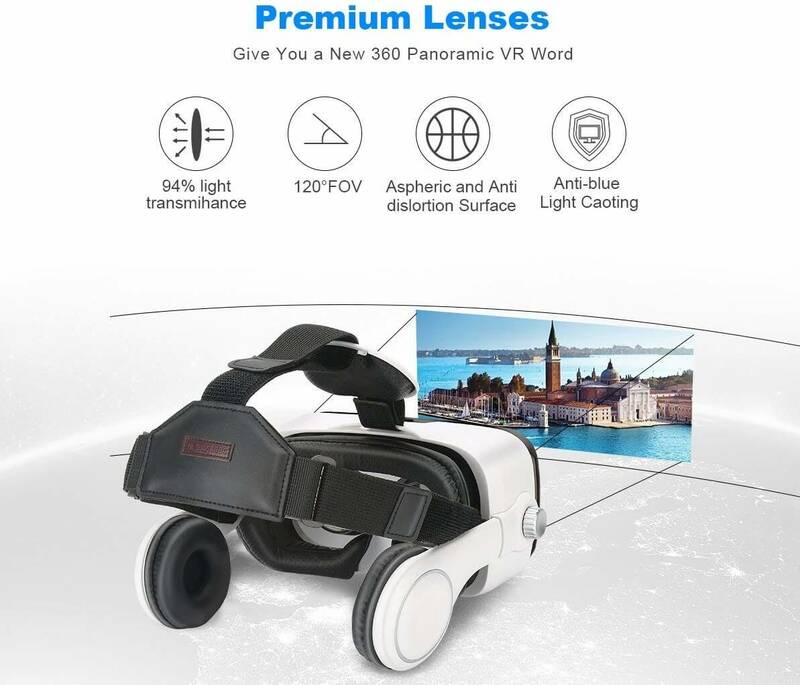 While searching for the best VR, you will find many and you often get confused with so many options. You will get many headsets from low to high prices. The top-level VR headsets are equipped with many high-end features which offer great virtual reality experience. Although, the top spec VR headsets comes at a high price tag. If you want to buy your first VR headset, then you might not want to spend much amount on it. 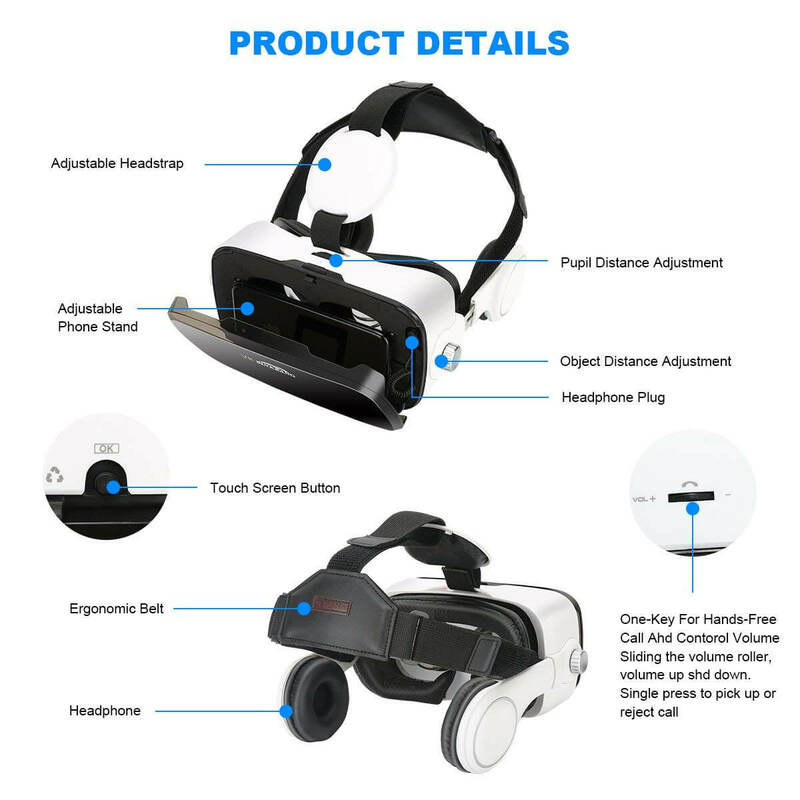 There are many companies, who manufactures mid-range VR devices to give you a splendid journey of the VR world. Today, we will introduce an affordable headset from AOGUERBE. The company has done a great job with the VR. AOGUERBE VR glasses offers an amazing viewing experience with its 3D lenses. It is composed of many other features which will please you to buy it now. If you have any queries relating to any products or our articles, then feel free to contact Gadgetsay Forum. So, without wasting time, let’s begin AOGUERBE VR Glasses Full Review With Pros and Cons. AOGUERBE VR headset is made for the user’s comfort. It is installed with adjustable T-shaped strap. The exterior is developed with lightweight material which doesn’t stress your head, after using for long. The straps get accurately fitted on your head and it doesn’t slip. The interior of the device is equipped with a soft cushion which compresses the burden around your eyes and face which makes you feel comfortable in spite of using it for long. It is designed with advanced technologies which are suitable for playing active games and watching 3D quality videos. The color of the device is combined with White and Black which looks classy. The size of the VR Headset is 8.2 x 7.5 x 4.3 inches. It comes with a detachable front cover which helps in heat dissipation which allows the device to remain cool while using it. It also features an adjustable spherical lens which can be controlled by the button present on the top of the headset. The lens can be adjusted as per need to keep eyes safe. The VR device is integrated with flexible headphone which can be stretched forward and backward. You can also adjust the headphone to fit on any head size. The headphones offer good audio and are comfortable to wear as it has soft sponge sufficient for decreasing the pressure over ears. The AOGUERBE VR headset allows the users to experience the amazing IMAX luxury theater in a panoramic FOV action of approx 120 degrees. You can live the games and feel like you are a real part of it. It offers interesting 3D videos directly from your smartphone. You can download games which support VR and play in the device. The device is provided with adjustable pupil distance (dioptre adjustment) and adjustable Interplanetary distance (IPD). The company has provided two methods to adjust the focal distance. The lenses can be shifted forward and backward inside the headset. The smartphone should be placed at the accurate position for good viewing. So, this was the AOGUERBE VR Glasses Full Review With Pros and Cons. The users who have purchased it has claimed that the device works perfectly. They are extremely happy with this VR headset. The headset is available exclusively on Amazon. If you want to buy it, then click on the button given below. It has a positive response from the users so, you can buy without any hesitation. I hope you liked this article and it will help you with your purchase. 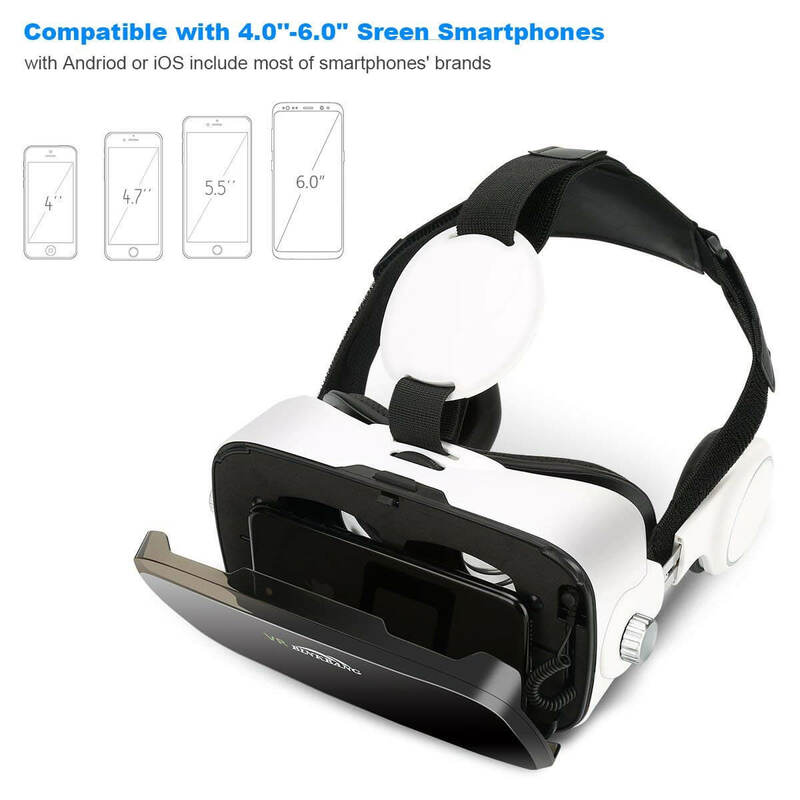 If you want other Option in VR headset, then you can read our other review articles, as well. You can share this article with your friends who have never experience the VR gadgets.